While the reasons for needing private investigator are varied, at Saffron Investigations, our goal is the same: to provide you with the efficient, confidential service you need and the personal commitment your investigation deserves. 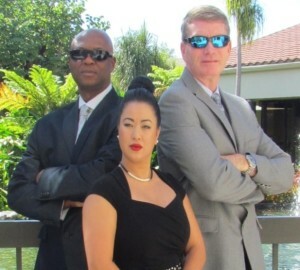 From Miami to Pembroke Pines, Fort Lauderdale to Coral Springs — Saffron Investigations is proud to be South Florida’s trusted choice for exceptional private detective services. Our unique combination of experience and advanced technology allows us to handle even the most difficult and complex investigations, providing you with solid evidence and peace of mind. So, whether it is a missing persons inquiry in Hollywood, attorney support services in Plantation or a marital investigation in Weston, you can depend on our outstanding team of professional investigators to handle your case with a meticulous attention to detail from start to finish. As experts in Miami and Broward County private investigations, we have an in-depth knowledge of Fort Lauderdale, Sunrise, Pompano Beach, Hollywood and the surrounding areas, and the contacts and resources to conduct thorough investigations throughout South Florida. In fact, our investigators are equipped to handle all types of cases, including: injury claims investigations, background checks, witness location services and more. While many national providers may offer private investigator services in South Florida, few have the local knowledge and experience of the Saffron Investigations team. Our local presence not only provides us with insight into the area, but it allows us to quickly follow up on leads, coordinate effective surveillance and gather solid evidence. So you can be confident that your case is in the most capable hands when you partner with us. At Saffron Investigations, we understand that each investigation is unique, which is why our private investigators work closely with clients to understand their objectives and budget. This allows us to tailor our services to best meet their individual needs. With years of hands-on experience, we know how to best conduct an investigation to maximize efficiency and collect evidence that can stand up against scrutiny in court. So, it is no wonder, Saffron Investigations is the choice of individuals, corporation and law offices throughout South Florida. Whether you are in Miami, Fort Lauderdale, Sunrise, Coral Springs, Plantation or anywhere in between, we welcome the opportunity to discuss your investigation and how our private detectives can put their experience and resources to work for you. Contact us today to get started. We appreciate the opportunity to meet your private investigator needs and exceed your expectations.